Kartik Aaryan, admittedly single but believably not, shared a hilarious post on Valentine's Day with the caption: "Happy Valentine's Day from me and my date. #Sonu #Gogo #Rajjo play karne ke baad who else would go on a date with me." But hold on. Before your heart breaks, Kartik's Valentine's Day "date" is actually a toy skeleton. Now, now, now, while Kartik's expression could have garnered much aww-worthy reactions on his Instafam and also on Twitter, netizens began came up with a quick answer - Sara Ali Khan. "Sara will love to go on a date with you," read a comment on Instagram while another added: "As you'd have guessed, she's none other than current crush of India - Sara Ali Khan." More comments such as: "Sara Ali Khan only said on national TV that she would love to go on a date with you" and "Please ask Sara Ali Khan out" were also posted on Instagram. 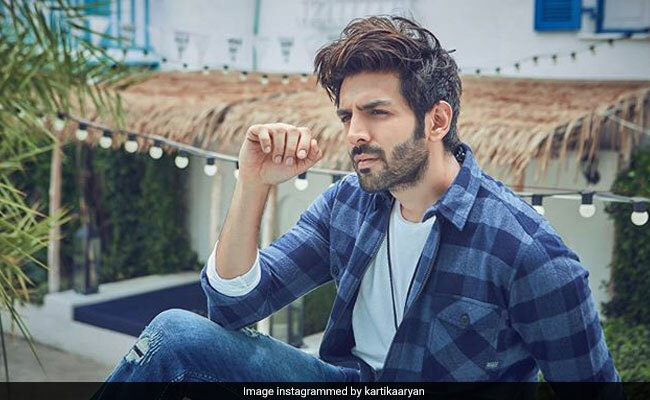 Check out Kartik Aaryan's viral Valentine's Day post, which garnered almost 5 lakh likes in less than three hours and is continuing to add numbers as we speak. Some even invoked Ananya Panday references, who the actor is rumoured to be going out on coffee dates with. On Koffee With Karan, responding to Karan Johar's question, Sara Ali Khan had said: "I want to marry Ranbir Kapoor. I don't want to date him. I want to date Kartik Aaryan." Following which, Kartik blushed and told the media: "I don't know what to say but I think she is really pretty. 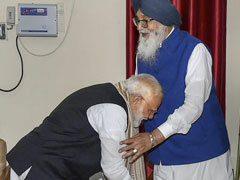 Haan, matlab coffee pina chahunga." Kartik also attended a special screening of Kedarnath ahead of its release. Ranveer Singh acted as the perfect wingman after he introduced Sara and Kartik at an event for the first time. Kartik and Sara are already on each other's phone directory - he recently called up Sara on national television during Karan Johar's koffee competition. Kartik Aaryan will next be seen in Luka Chuppi and then in Pati Patni Aur Woh. Sara Ali Khan, star of two films, is yet to announce her next project.